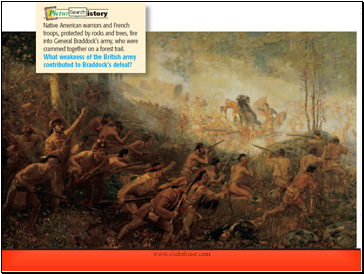 Study the map and describe one cause of the French and Indian War? 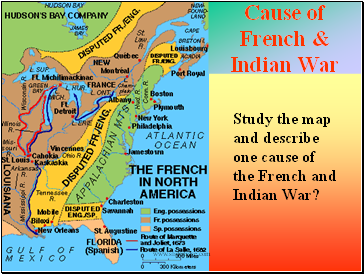 From the Diagram, list two causes of the French and Indian War? 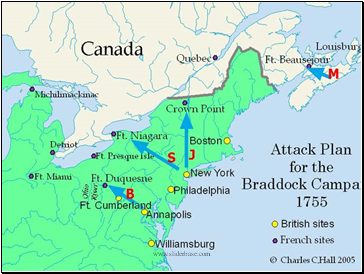 Remember, rivalries in Europe always spill over into the Colonies. 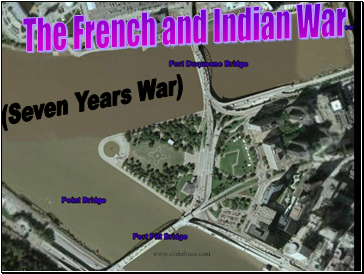 Mission: To rid the Ohio Valley of the French Invaders. 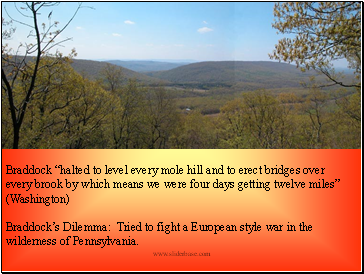 Braddock’s Dilemma: Tried to fight a European style war in the wilderness of Pennsylvania. 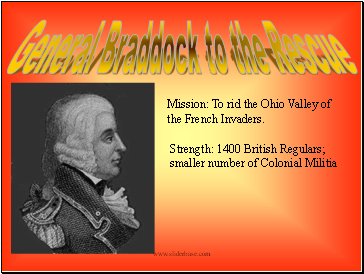 Braddock’s force is routed and retreats in disarray. 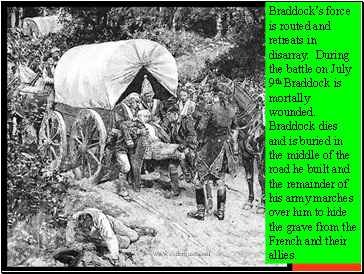 During the battle on July 9th Braddock is mortally wounded. 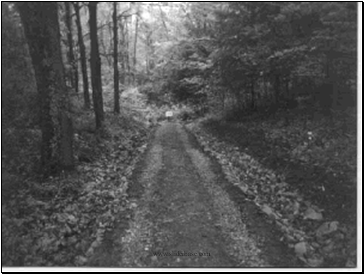 Braddock dies and is buried in the middle of the road he built and the remainder of his army marches over him to hide the grave from the French and their allies. Failed to secure Ft. Duquesne. 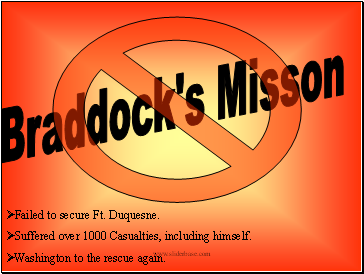 Washington to the rescue again. 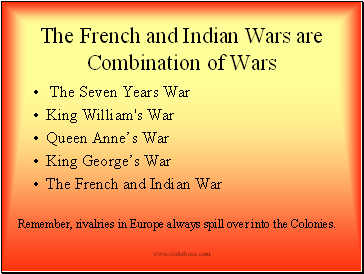 Prussia v France and its Allies in Europe. 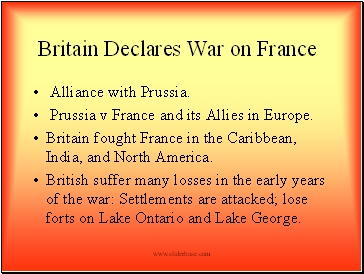 Britain fought France in the Caribbean, India, and North America.